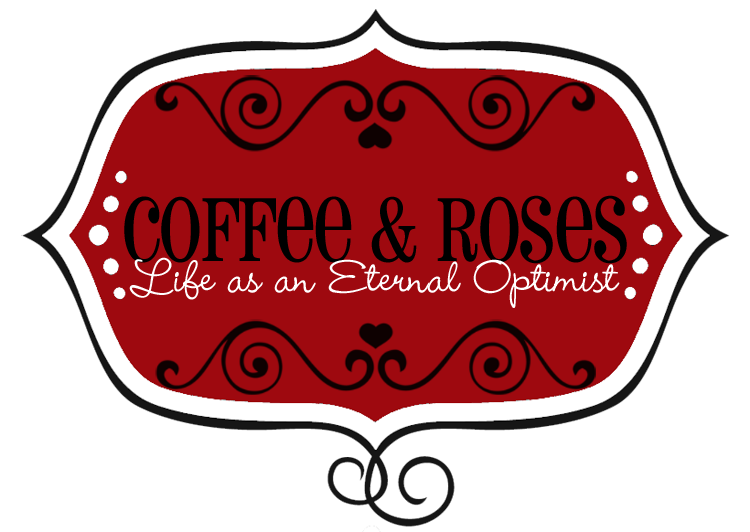 Coffee and Roses - Life as an Eternal Optimist: The Chick-lit Debate: Give Readers Credit! The Chick-lit Debate: Give Readers Credit! Much has been said and written recently about the ‘death of chick-lit’, with media commentators quick to grab their pitchforks and hound out anything with a remotely pink cover. From angry attacks (Harriet Walker writing in The Independent, stating that chick-lit is ‘saccharine silage that fails women’) to the downright incorrect (Lauren Paxman’s ridiculous Daily Mail article which identifies Jodi Picoult as a chick-lit author), journalists have had a field day. So here’s my response, for what it’s worth. I write romantic comedy. If my books ever become films, they will probably be labelled ‘chick-flicks’, so by definition my novels are often referred to as chick-lit. They have sparkly covers, one of which may even have featured the colour pink. They are written from a woman’s perspective and address life’s issues using humour and, I hope, a cracking good story. I’ve read all the articles, and seen the excellent, dignified response from authors such as JoJo Moyes and Tasmina Perry, together with the intelligent, witty debate on Twitter. Debate is good and the question of whether we classify ourselves as chick-lit writers or not is as old as the nametag itself. But what I can’t agree with – and what angers me more than anything – is the way in which readers have been slandered by the media blitz. The reports assume that the women (and men, for that matter) who choose to read light romantic fiction are somehow less intelligent and less discerning about the literature they choose to read. How dare someone dictate what people should or shouldn’t read! And how dare they suggest that the only worthwhile literature should be what they deem as worthy! Reading should be a pleasure – whether it challenges us, enlightens us, scares us or makes us laugh. The point is that reading should be a choice. It is the universal right of the reader to decide what he or she wants to read and nobody’s right to take that away. So what if the book they choose to read is light-hearted, romantic comedy? Light-hearted reads are not ‘retarding’ readers, as one report suggested. In fact, if anything, they help us relax and gain important perspective on the issues we face. Comedy is a powerful tool for addressing the issues of our day, and the best comedy fuses humour with moments of deep emotion and resonance. Let’s face it: we have little to laugh about at the moment, with the economy in freefall and many of our futures uncertain. Why should we then be denied the right to find light relief in what we read? The other assumption that these articles have made is that readers are only capable of reading one genre of book. This simply isn’t true. I am, and always will be, a fan of romantic comedy. But I also love thrillers, literary fiction, biographies and comedy-fantasy. In the past month I have enjoyed books by Laurie Graham, Howard Jacobson, Lucy Diamond, Helen Simonson and Sir Terry Pratchett. Surely anything that encourages people to pick up a book should be celebrated? Yes, literature should be well written. Yes, there are an awful lot of books (in all genres) that are marketing department ‘write-by-number’ attempts to cash in on successful formulas. But there is also a wealth of stunningly original, witty writing to be savoured and enjoyed. Contrary to what some in the media would have you believe, readers are discerning, intelligent people who are more than capable of deciding what to read. They should be celebrated, supported and encouraged, not lambasted for their choices. It is time that the media and some areas of the publishing industry gave readers more credit. As for the ‘chick-lit’ label, I agree that it has become a derogatory term used by lazy journalists to lump everything written by and for women together. But readers know a great author when they find one and, ultimately, they will decide who succeeds and who fails in the industry. And may it ever be thus! I don't like that it's become such a deragtory term but I love your thoughts. Those who know a good author don't care what it's called. I write romantic comedies, humorous women's fiction, whatever you want to call it to get it on the shelves. I love it, I wouldn't change what I write for anyone. No matter how many people say it's dead. I read it, which means others do too! Excellent article. I agree wholeheartedly with you. I would say though, that I hate the 'chicklit' label which has become derogatory, even if it shouldn't. This genre should hold it's head high because in addition to giving alot of pleasure, it's probably keeping more than one publisher afloat & has encouraged more than a few people to read who wouldn't otherwise have done so. When I'm choosing a book to buy, I don't even notice which section of the bookshop I'm in. I decide to buy a book because of the author, because I know (or I've been told) that they will deliver me a good story. This is why I buy your books and if people want to call it 'chick lit', then they can go right ahead, I just call it a darned good read. And a darned good read is never going to die off. Very well said, Miranda! Hear hear. We don't have this problem with the TV programmes we choose to watch, or music we choose to listen to. I love chicklit,it entertains me and takes me away from the stresses of life. I can and do read other genres but when I truly want to escape I go for chicklit/romance/women's fiction, whatever they want to call it. From what I see on the blogs and forums, chick lit is far from dead. Oh for heavens sake...what will they come up with next?! I will give any author a chance. So long as the characters are believeable, I couldn't care less what setting they find themselves in. I read for fun - I've been reading adult books since I was seven; I have an excellent zoology degree and was a scientific proof reader/copy editor for four years. I am by no means retarded! Choosing "chick-lit" to relax with is my choice. There are some poor books in that genre, as with any other genre. But there are some real gems that teach people more about real life and real situations than any number of "great literary works". I would say that chick-lit makes reading accessible to the modern woman. Authors like Jodi Picoult cover difficult issues like Asperger's, domestic abuse, organ donation etc, in a way that is easy to read and understand. What's so wrong with that? Agree with you Miranda, especially when it comes to what other people tell me to read. I want to read a good book and only I will be able to tell you if I think it is good. Well said, I love all types of books from a variety of genres. As long as there are readers who love and enjoy a good story I do not think so called 'chick lit' will ever be a thing of the past. Don't think I've seen a better response to the witch hunt against Women's fiction or chick lit. Thanks, Miranda. New! Buy the song from my book trailer! Book 4: A BIG announcement! The intermittent MD tour begins...! WIN tickets for my launch celebration!